The first product I reviewed for the SoundStage! Network was a pair of Revel loudspeakers, back in 2006. The F12 was a member of Revel’s first line of entry-level speakers, the Concertas, then newly introduced. (A successor line, Concerta2, was launched at the 2015 Consumer Electronics Show.) I liked the Concerta F12, but at the time I’m not sure I appreciated just how good it was, especially for the price: $1198 USD per pair. For several years I wanted to review another Revel model, but SoundStage! Hi-Fi hadn’t reviewed anything from the company since 2009, when Doug Schneider wrote about the Ultima2 Salon2. Then, in 2012, Revel updated their Performa series, and review samples eventually began to arrive. The pair of Performa3 M106 bookshelf speakers ($2000/pair) sent to me brought to an end my nine-year hiatus from the brand -- years in which I’d listened to a number of good speakers. I was curious to hear how the Performa3 M106 would stack up. The M106 is the larger of two bookshelf models in the Performa3 series, and in appearance and execution it represents a significant departure from the Performa M22, which it replaces. Most noticeably different is the M106’s enclosure, made using a process developed and overseen by Italian cabinetmakers. For the first time, a Performa series includes speakers with curved panels that taper toward the back, giving the speakers a softer, less boxy façade that makes them more reminiscent of Revel’s flagship Ultima2 series. The M106’s cabinet is wrapped in beautiful veneers that exude a high-quality, expensive-looking finish. Buyers of the M106 can choose between Piano Black and High-Gloss Walnut. (Unfortunately, only the smaller bookshelf model, the M105, can be had in the Piano White finish that Doug Schneider so admired in his review of the Performa3 F206 floorstander.) A piece of black plastic atop the speaker completes the package. As much as I thought this cap added little to the M106’s appearance, I suspect its inclusion could have something to do with mitigating diffraction. 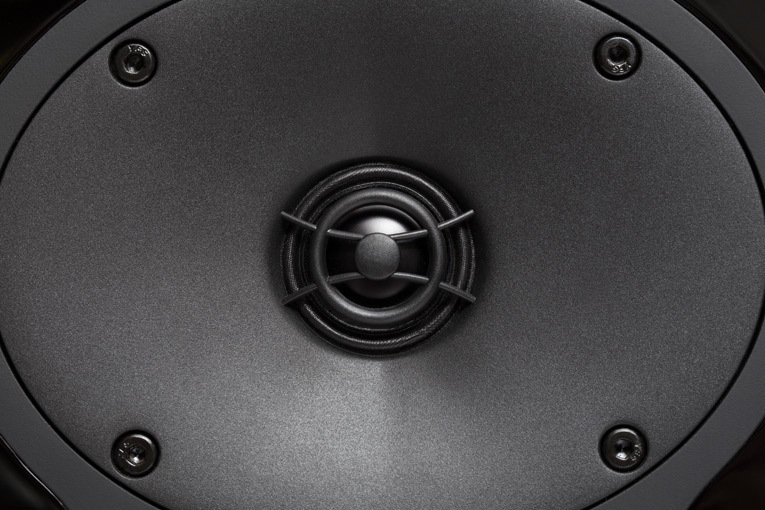 A two-way bass reflex design, the M106 combines a 1” aluminum-dome tweeter at the base of an acoustic-lens waveguide with a 6.5” aluminum-cone midrange-woofer, these handing off to one another at 2.3kHz via a high-order crossover. Revel claims that the waveguide is designed to accurately match the dispersion of the tweeter and midrange-woofer in the crossover region to produce a broad, even sound. This should produce a wide listening window so that, even if you don’t sit in the sweet spot, you should still hear consistent tonality. Furthermore, the waveguide is claimed to increase dispersion of the highest frequencies in the tweeter’s range, to produce a more airy, detailed sound. Revel began using waveguides with their Ultima2 series; now, all of their speakers employ them. 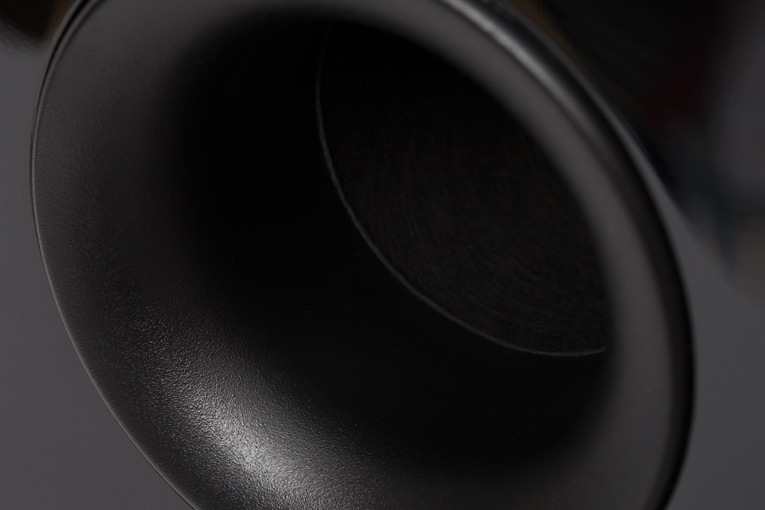 The 6.5” midrange-woofer has a cone of ribbed aluminum. The ribs strengthen the cone, to help it perform, as much as possible, like an ideal piston, so that all points on its radiating surface move uniformly, even at high output. The folds in the cone’s surface also help eliminate resonances that would otherwise distort and color the sound. 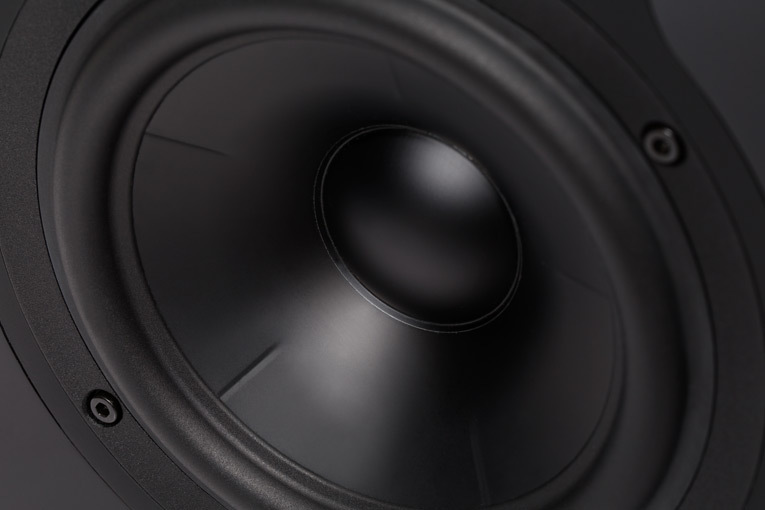 The midrange-woofer is supported by a basket of cast aluminum, to further reduce resonances as the cone moves back and forth. Each M106 measures 15”H x 8.3”W x 11”D and weighs 19 pounds. The cabinet is built using heavily braced panels of 1”-thick MDF in a construction whose solidity I confirmed by rapping my knuckles against its walls -- I heard only a dull thud. On the narrow rear panel is a single pair of binding posts that accept spades, banana plugs, or bare wire. Above these is a large port with identical flares at both ends, to minimize port-generated noise. Foam plugs are included to attenuate the bass from the port, though I never needed these in my room. Unless your room is small, and/or you’re forced to place the Revels against the front wall, I doubt you’ll need the plugs. The Performa3 M106’s claimed nominal impedance is 8 ohms, its sensitivity 87dB/W/m. Revel recommends powering the M106 with 50-150Wpc; I had no problem driving them with a Bryston B135 SST2 integrated amplifier, specified as outputting 135Wpc into 8 ohms. Revel doesn’t specify the M106’s frequency response on its website, but does claim that its lower-frequency limits are 59Hz, -3dB; 54Hz, -6dB; and 39Hz, -10dB. This isn’t as low as I’ve encountered from other bookshelf speakers of similar size and driver complement, but if they can produce usable bass down to 40Hz, they should provide enough of a foundation for most music. If you’re a bass fiend, you should probably look at one of Revel’s two Performa3 floorstanders, the F206 or F208, or consider adding a subwoofer. I inserted the Performa3 M106es in a system powered by the aforementioned Bryston B135 SST2 integrated amplifier, to which I linked them using AudioQuest Comet speaker cables terminated in banana plugs. A Thorens TD-160HD turntable fitted with a Rega Research RB250 tonearm and Dynavector DV-10X5 high-output moving-coil cartridge was connected to a Lehmann Audio Black Cube SE phono stage. Digital sources included an NAD C 565BEE CD player, which served as a transport for a Bryston BDA-2 outboard DAC via an i2Digital X-60 digital coaxial cable. An Apple MacBook laptop running Audirvana software provided the DAC with additional digital content via an AudioQuest Forest USB cable. All electronics were plugged into an ExactPower EP15A power conditioner/regenerator. I played “Angel,” from Massive Attack’s Mezzanine (CD, Virgin 8 45599 2). This track features deep synthesized bass that’s difficult to reproduce through anything short of large floorstanders, and I was curious to hear how the Revels would handle it. Through the M106es, “Angel” sounded clear and highly resolved, but I found the Revels’ bass a bit lightweight even for a pair of bookshelf speakers -- they certainly didn’t need their port plugs installed. I moved them closer to the front wall, to reinforce the bass. This did the trick. Not only did they still image really well, but the bass had more heft -- this was not only more to my liking, but also better suited the murkiness of the music. The M106es could generate solid low end that could fill my room, but I’ve heard other bookshelf speakers that could play lower and with more volume. With the Revels, the emphasis was on bass quality -- I heard tight, tuneful bass that wasn’t tipped up in the midbass to fool me into thinking I was hearing actual deep bass. The M106 definitely was not bass deficient in this context, and care taken in proper setup will pay big dividends -- but I wouldn’t recommend them to someone who wants a fat low end. The M106 is just too disciplined for that. The quick rhythm of the drums in “Inertia Creeps,” also fromMezzanine, was tight and controlled -- the M106es produced a punchy, percussive beat that really drove this track. The shimmer of a tambourine set slightly back of center stage sounded pristine in this busy arrangement. One thing that became apparent early in my listening was that the M106 is a member of the squeaky-clean speaker camp. It consistently produced ultraclear sound that let me easily hear deep into my CDs and LPs. In fact, the Revels sounded so clean that they encouraged me to take liberties with the volume, and I was more than happy to oblige. As their output increased, the M106es continued to deliver uncompressed dynamics and seemingly distortion-free sound. They had no trouble keeping pace with El-P’s aggressive beats on Run the Jewels’ Run the Jewels 2 (CD, Mass Appeal MSAP0005). The lucid-sounding M106 readily uncovered detail in this hard-hitting rap album without detracting from its gritty vibe. In fact, from the powerful dynamics in Hans Zimmer and Lisa Gerard’s score for the film Gladiator (CD, Decca 289 467 094-2) to the speaker-punishing ferocity of War Dance, from Eiji Oue and the Minnesota Orchestra’s recording of Respighi’s Belkis, Queen of Sheba: Suite (CD, Reference RR-95CD), the M106’s composure was unflappable. Much as a good amplifier makes the task of reproducing music seem effortless, so too did the Revels, which never sounded strained or strident at any volume level. 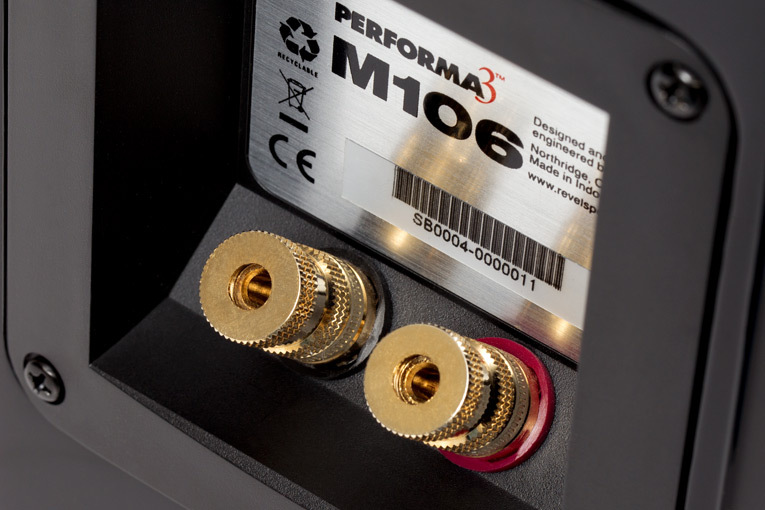 If you like to listen at high volumes, the M106 is up to the challenge. The M106’s clarity meant that it was adept at conveying information about the space in which the music was recorded. The finger cymbals in “Banquet Hall,” from Loreena McKennitt’s To Drive the Cold Winter Away (CD, Quinlan Road QRCD102), sparkled, but it was the air around them that produced a more perceptible sense of space through the Revels as the small metal plates rang out in the Irish rehearsal hall where the piece was recorded. The M106es’ aluminum-dome tweeters produced crisp, articulate highs that were neither bright nor rolled off, but extended and clear. I then returned to an album I used to frequently cite in reviews: Gothic Voices’ A Feather on the Breath of God (CD, Hyperion CDA66039), a 1981 digital recording of chants written by the 12th-century German abbess and composer Hildegard of Bingen. In “Ave, generosa,” contralto Margaret Philpot’s tone was pristine -- through the M106es, her voice sounded simply natural. It was reproduced so well that the acoustic of the Church of St. Jude-on-the-Hill, in Hampstead, London, was captured remarkably well, helping to transport me to the performance. Throughout this entire disc, the Revels disappeared, their wonderful transparency revealing plenty of detail. This made the music more tangible, and the physical space of the venue more perceptible. I could hear the voices as they soared up to the rafters, helping me appreciate not only the church’s size but its emptiness. While the M106 could generate potent bass and sparkling highs, perhaps its greatest strength was the openness of its midrange. As I listened to many albums spanning a variety of musical genres, the transparency and purity of the Revel’s midband was captivating, delivering a wonderful balance of detail and musicality. If you want to peer into recordings that have been engineered well enough to make that possible, you’ll find much to admire in the M106. Its inherent neutrality made it very revealing of differences in recording quality, flattering the well made and exposing those that weren’t. The Revel’s stellar midrange clarity made voices sound tangible, as demonstrated by the a cappella “Me and a Gun,” from Tori Amos’sLittle Earthquakes (CD, eastwest 82358). The subject of this song is as haunting as Amos’s delivery, which was almost uncomfortably intimate through the M106es. Once again, the speakers seemed to disappear, leaving only the singer’s fragile, close-miked voice hanging in air -- exposing her, as it were. The decision to record this song without instrumental accompaniment seems itself a metaphor for its content. I can’t imagine “Me and a Gun” sounding much better than it did through the Revels -- at least, not in my listening room. When the Performa3 M106es ($2000/pair) arrived at my place, I was fortunate that Doug Schneider had not yet returned the Performa3 F206es ($3500/pair) he’d reviewed last fall. I borrowed them to hear how two speakers from the same series would fare against each other. 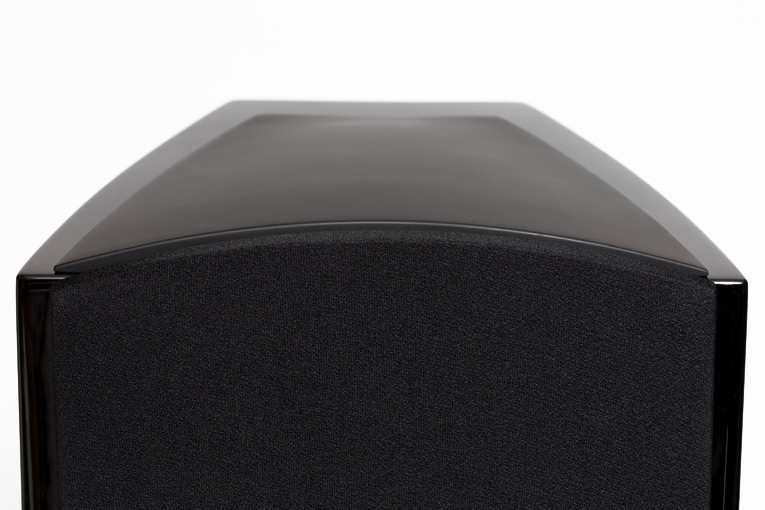 The F206 is a floorstander with the same tweeter as the M106, but with a dedicated 5.25” midrange and two 6.5” woofers. Sure enough: With a bigger cabinet and more drivers, the F206 produced an even bigger, more powerfully room-filling sound than did its already impressive bookshelf sibling. When I listened to “Society,” from Eddie Vedder’s music for the film Into the Wild (CD, J-Records 88697-15944-2), Vedder’s performance was grander through the F206es -- their bigger size and, especially, their greater output down low made the reverb added to this track sound like a larger space. The M106es still sounded commendably big; they just couldn’t push the physical boundaries of the performance as far as the F206es did. What I didn’t anticipate was how different the speakers sounded with Tori Amos’s “Me and a Gun.” Through the F206es, her voice was actually a bit more focused, sounding not quite as big as through the M106es -- which, in direct comparison with the F206es, seemed to slightly accentuate its overtones. The M106 is a highly accomplished design; it wasn’t as if the F206 was in another league altogether. But as I switched back and forth between the two pairs of speakers to be certain of what I was hearing, I couldn’t help but think that Amos’s voice just sounded a touch more pure through the F206. The decision of which Performa3 to buy will likely have more to do with the size of the room in which they’ll be used and the listening habits of the buyer than with the quality of the speakers themselves. Both speakers perform at an incredibly high level and sound remarkably similar. The biggest difference is the F206’s greater bass output and fuller sound. Were the choice mine, I’d opt for the F206 -- it did all the things the M106 did well, but its ability to go deeper in the bass better suited my listening preferences. I then listened to the Performa3 M106es alongside my own reference speakers, Amphion’s Argon3Ls ($4500/pair). Like the M106, the Argon3L is a two-way design with a 6.5” aluminum midrange-woofer and 1” titanium-dome tweeter mounted in a deep waveguide. However, the Argon3L’s drivers hand off to each other at 1.6kHz compared to the Revel’s 2.3kHz, and the Amphion is a floorstander whose cabinet has significantly greater volume than the Revel. Given that the M106 embodies almost all of the qualities that I crave in any loudspeaker, especially a clean, revealing sound, it shouldn’t have surprised me that it had much in common with the Amphion. Both are highly resolving, with impressive levels of transparency that made it easy to hear into my music collection. Image placements were top notch with both, as each produced a precise, coherent soundstage. When I closed my eyes, it was easy to visualize what I was hearing. One area in which the sounds of the Revel and Amphion did diverge was the bass. It wasn’t only that the Argon3L generated significantly more energy down low -- it was also the quality of that bass. Whereas the M106’s bass was extremely disciplined and tightly controlled, the Amphion generated fatter, fuller bass. With Run the Jewels 2, the M106es could produce sufficient weight to fill the room, but were no match for the Argon3Ls’ greater output, which sounded more voluminous. I suspect that the M106 is the more accurate speaker, especially at the lower end of its range, but if you want extra heft in the bass, the Argon3L will probably appeal more. 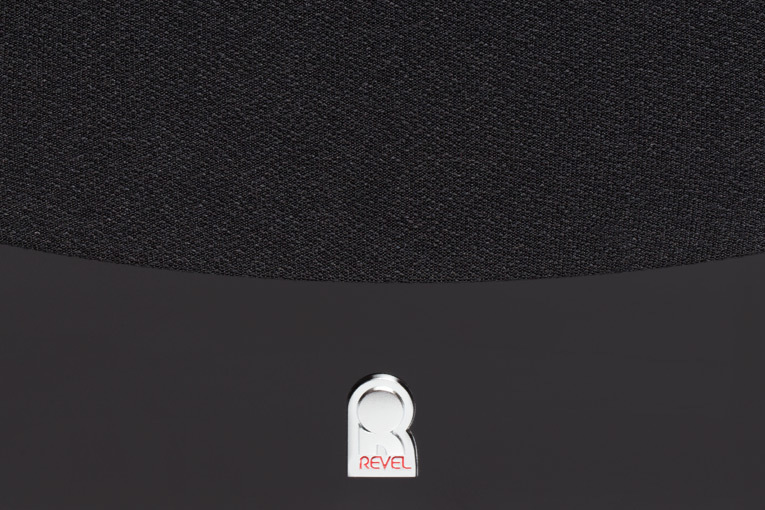 It’s been nine years since I last reviewed a Revel speaker, and it’s been worth the wait. 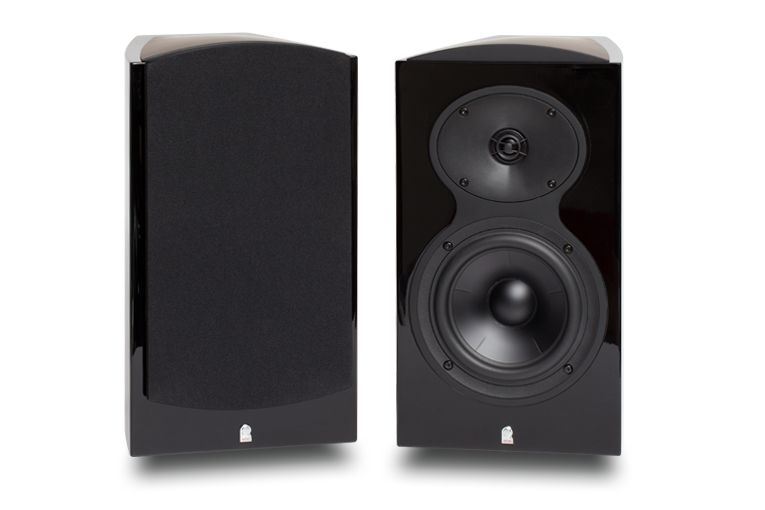 The Performa3 M106 is a speaker of extremely high quality that can compete against any other bookshelf model at or above its price. While $2000 is a lot of money for a pair of minimonitors, the price sounds more reasonable when one considers that one is investing in a product highly accomplished in virtually every aspect of sound reproduction, and that to improve on that performance would require spending much more. For me, the M106 ticked all the right boxes: Its ultraclear sound uncovered plenty of detail while boasting a gorgeous, open midrange that was neutral and natural. Perhaps best of all, it maintained these qualities at any volume at which I played them. Add to this its high quality of fit and finish, and Revel’s Performa3 M106 is a compelling package. I hope only that it won’t be another decade before I review another Revel model. Highly recommended.